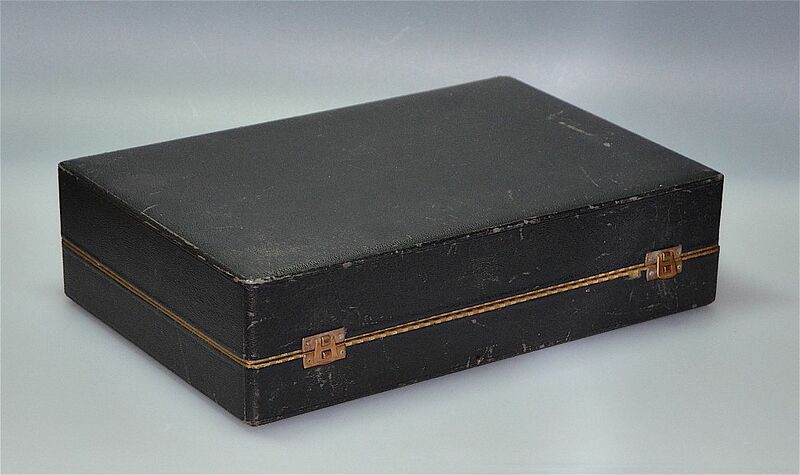 This superb boxed bridge set was made by Crown Devon during the 1930s. 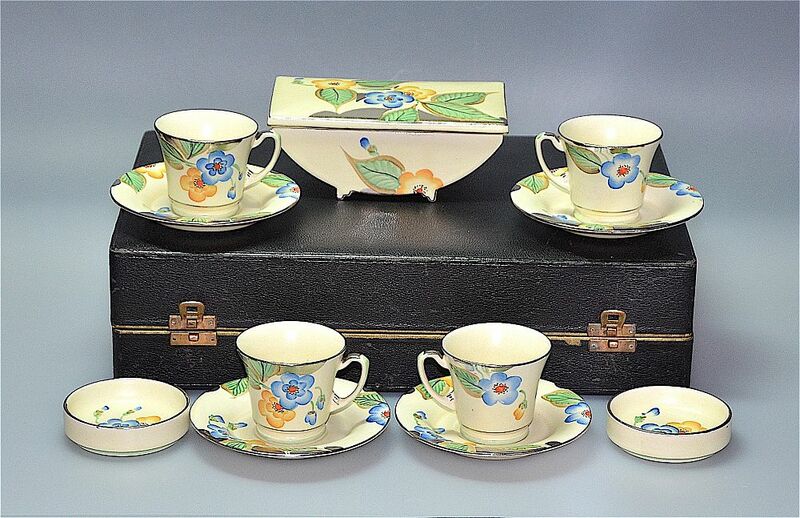 It comprises 4 coffee cans and saucers, a lidded box and 2 round ashtrays. 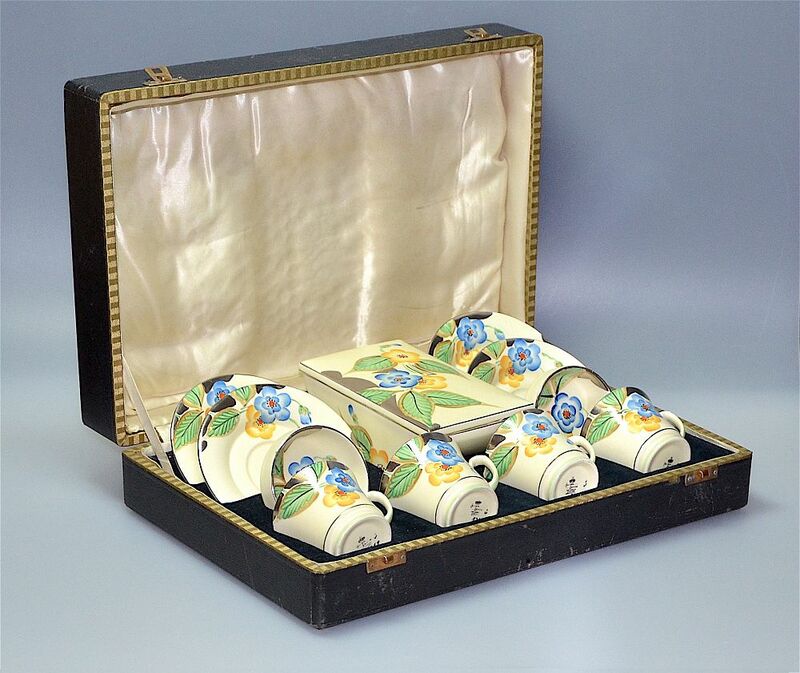 The pieces are decorated with a floral pattern in blue yellow & green with silver flashes on a cream background. The base of each piece has the black Crown Devon back stamp with the crown and "Crown Devon Fieldings Made in England".